This is the main (technical) documentation for the Smart Emission Data Platform. It can always be found at smartplatform.readthedocs.org. A somewhat lighter introduction can be found in this series of blogs. The project GitHub repository is at https://github.com/smartemission/smartemission. This is document version 1.0.0 generated on 12 February 2019 at 12:41:24. The Smart Emission Platform was initiated and largely developed within the Smart Emission Nijmegen project (2015-2017, see also below). The Geonovum/RIVM SOSPilot Project (2014-2015) , where RIVM LML (Dutch national Air Quality Data) data was harvested and serviced via the OGC Sensor Observation Service (SOS), was a precursor for the architecture and approach to ETL with sensor data. This put more strain on the platform and required a more structural development and maintenance approach (than project-based funding). In 2018, the SE Platform was migrated to the Dutch National GDI infrastructure PDOK maintained by the Dutch Kadaster. This gives a tremendous opportunity for long-term evolution and stability of the platform beyond the initial and project-based fundings. This migration targeted hosting within a Docker Kubernetes environment. All code was migrated to a dedicated Smart Emission GitHub Organization and hosting of all Docker Images on an SE DockerHub Organization. The Smart Emission Platform was largely developed during the Smart Emission Nijmegen project started in 2015 and still continuing. 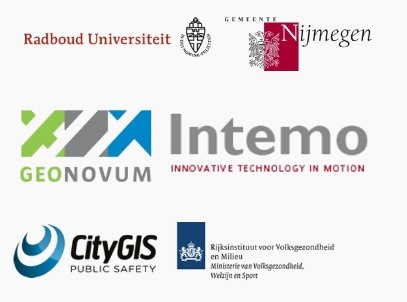 Read all about the Smart Emission Nijmegen project via: smartemission.ruhosting.nl/. In the paper Filling the feedback gap of place-related externalities in smart cities the project is described extensively. The data from the Smart Emission sensors is converted and published as standard web services: OGC WMS(-Time), WFS, SOS and SensorThings APIs. Some web clients (SmartApp, Heron) are developed to visualize the data. All this is part of the Smart Emission Data Platform whose technicalities are the subject of this document. Writing technical documentation using standalone documents like Word can be tedious especially for joint authoring, publication on the web and integration with code. Luckily there are various open (web) technologies available for both document (joint) authoring and publication. This triple makes maintaining actualized documentation comfortable. This document is written in Restructured Text (rst) generated by Sphinx and hosted by ReadTheDocs.org (RTD). You can also download a PDF version of this document and even an Ebook version. Using Sphinx with RTD one effectively has a living document like a Wiki but with the structure and versioning characteristics of a real document or book. Basically we let “The Cloud” (GitHub and RTD) work for us! © Copyright 2016, Smart Emission - CC BY-SA 3.0 - Just van den Broecke (ed.) Revision 7c08054c.